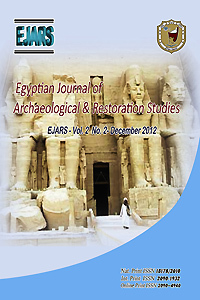 Lecturer, Conservation dept., Faculty of Archaeology, Cairo University, Egypt. Chaetomium indicum, Helminthosporium sativum, Alternaria tenuis and Rhizopus sp. with lower concentration of clove oil, which is harmless to humans, (0.75%) than the fungicides.